Full disclosure: these are not all straight screenshots of these accounts, I hand-picked what ‘grams to show based on what I’m most a fan of. 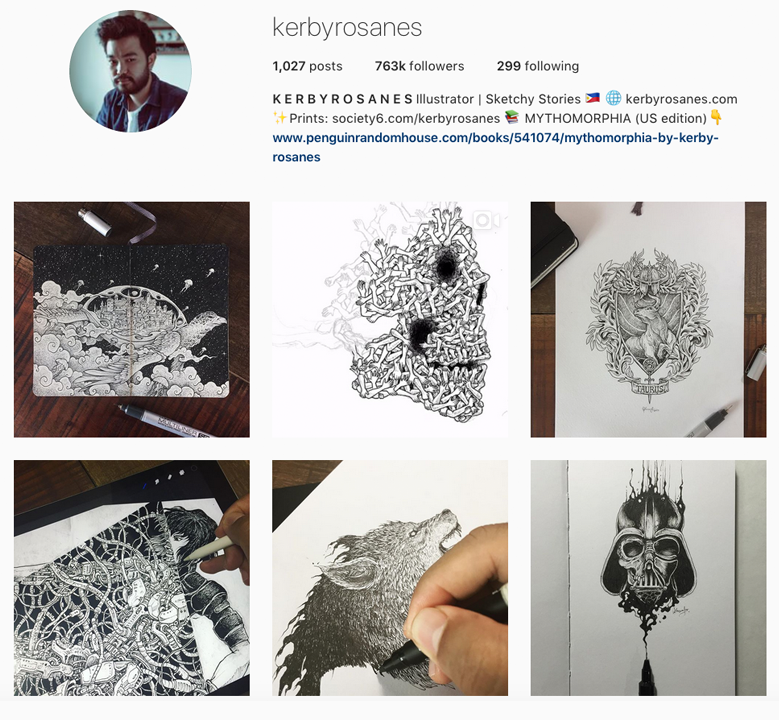 The level of detail that Kerby Rosanes achieves in his illustrations is nothing short of mind-blowing. These botanical watercolor prints by Living Pattern artist Jenny are ❤️. I want all of them. 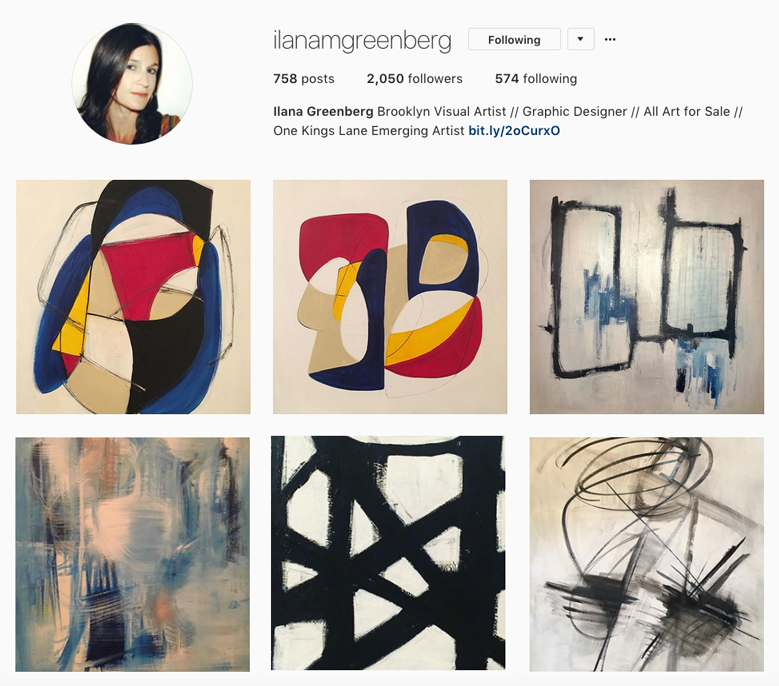 Ilana Greenberg’s bold, abstract pieces are showstoppers. If you’re looking for feature art, look no further. 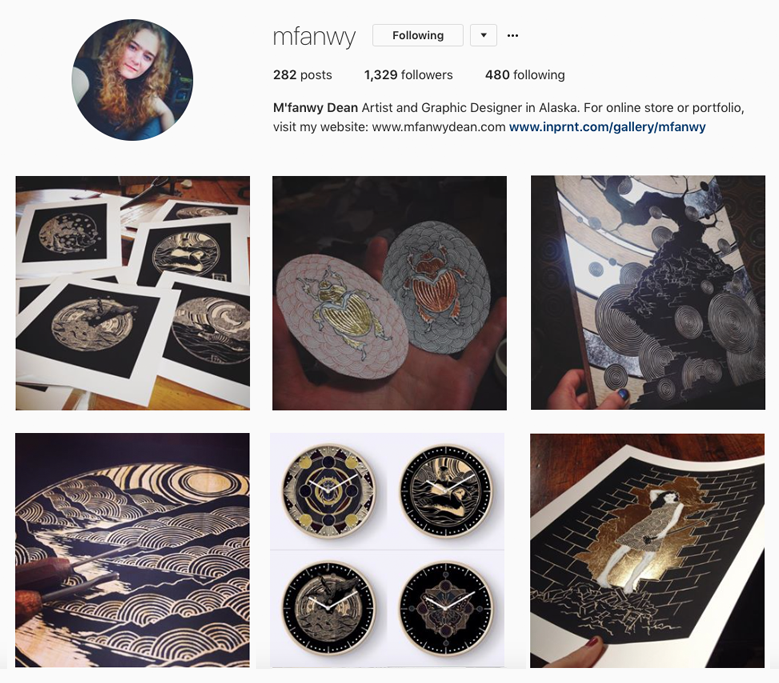 M’fanwy Dean combines wood carvings, ink drawings and gold leaf in intricate and amazing ways. 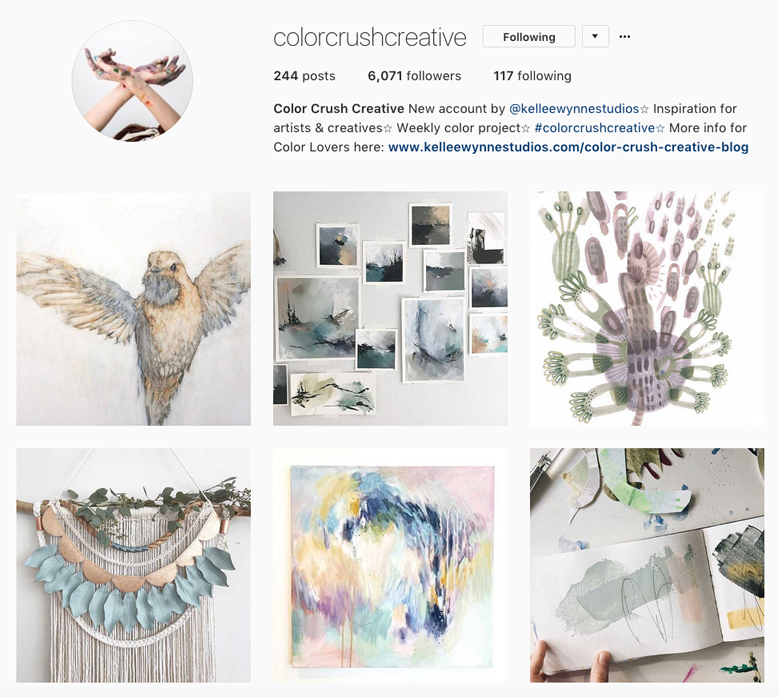 Kellee of Color Crush Creative has perfectly captured soft, pretty color palette curation. I just want to sink into her feed. 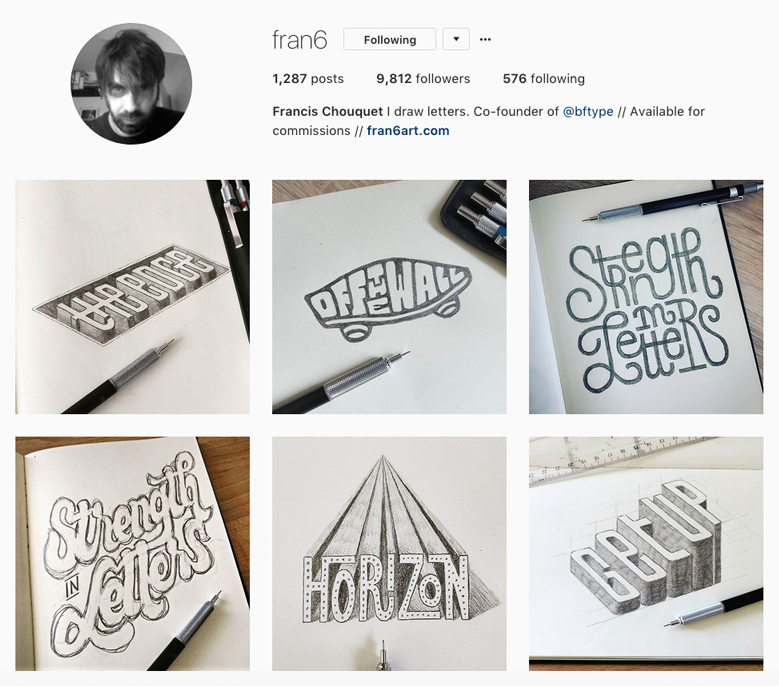 Francis Chouquet’s type drawings are the things that sketchbook dreams are made of. I have #sketchbookenvy. 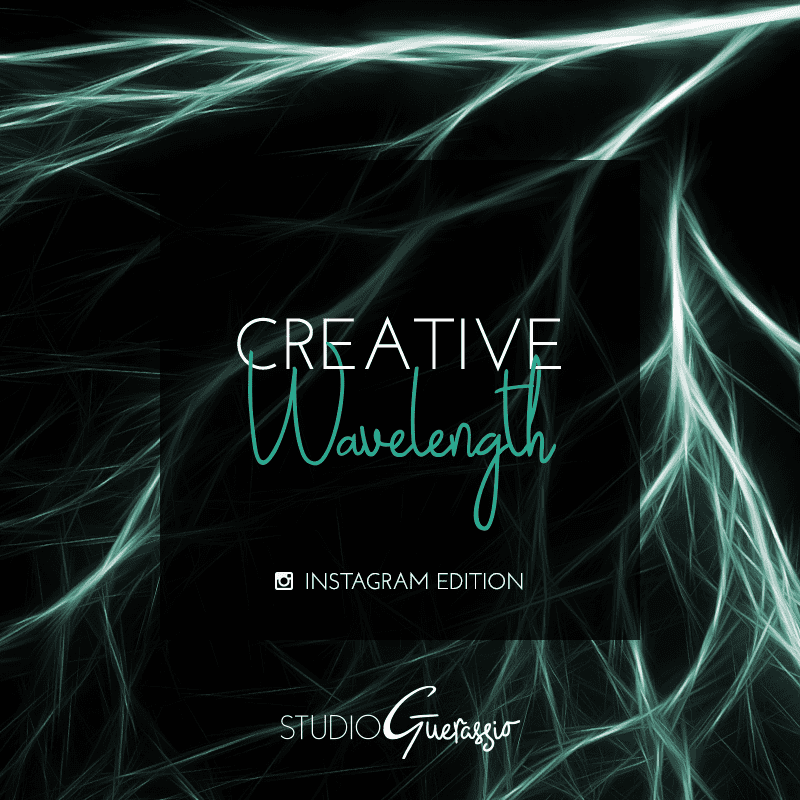 ⇒ And of course, you can also find me over on Instagram, at studioguerassio. 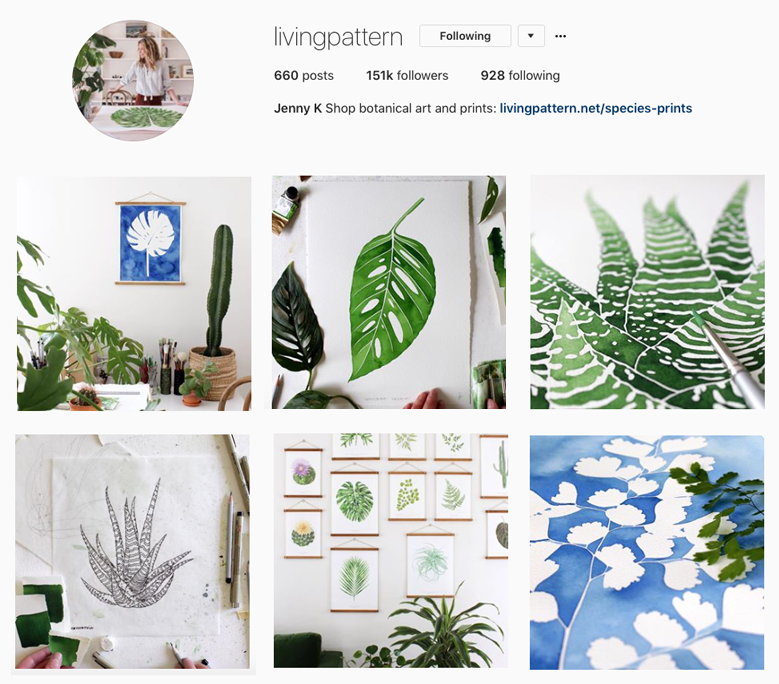 What are your favorite creative accounts and artsy people to follow on Instagram?